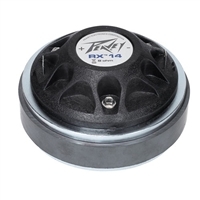 Peavey makes some great high frequency drivers that are economically priced and easy to replace. When you either need to replace a bad driver or looking for a new one for your latest project, Peavey has the driver you need. If you need help finding the right type of driver, give us a call at 1.866.963.0733 for more information.